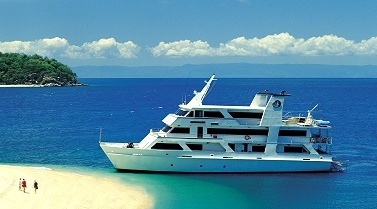 Coral Expeditions operates three small expedition-style vessels that cruise throughout Australia, New Zealand, and Papua New Guinea. Since their vessels are Australian flagged, their crew are required to have Australian qualifications and work authorization. Based in Cairns, Australia, Coral Expeditions has been around since the 1980s. Tony Briggs founded his small ship company, Coral Princess Cruises, in 1984. In 2014, he sold the majority of his shares to Kallang Capital Holdings, a Singapore-based company. With a shared vision of expedition cruising, the company continues to build on their experience but with a new name, Coral Expeditions. Coral Expeditions three vessels have been renamed Coral Discoverer (formerly Oceanic Discoverer), Coral Expeditions I (formerly Coral Princess), and Coral Expeditions II (formerly Coral Princess II). In September 2017, Coral Expeditions announced it would be building a fourth ship to be delivered in April 2019. The new ship will be named Coral Adventurer and will carry 120 guests. To apply, go to the Coral Expeditions’ “Jobs at Coral Expeditions” page. There is a listing of all the jobs that they recruit for, including Cruise Attendant, Chef, Mate, General Purpose Hand (GPH), Guest Lecturer, Assistant Purser, and Purser. Submit your resume accompanied by a cover-letter to careers@coralexpeditions.com.